This coming Tuesday would have been Carl Sagan’s 76th birthday. 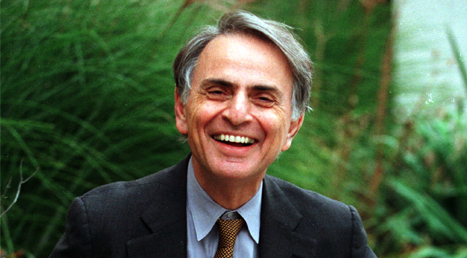 Physicists and scientists all over the world have declared it Carl Sagan Day. In remembrance, I’m going to post a clip of him reading from his book Pale Blue Dot. Enjoy.